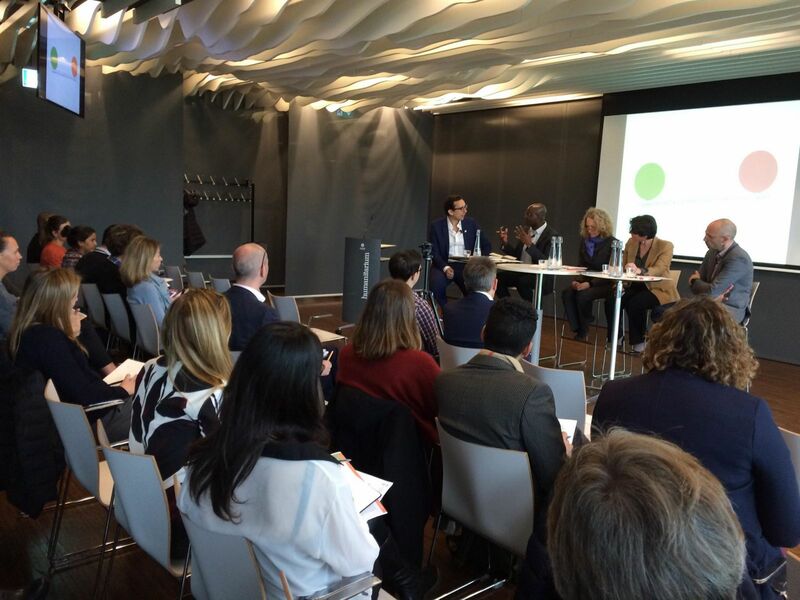 On 28 March the International Committee of the Red Cross (ICRC) and the Harvard Humanitarian Initiative launched a a joint discussion paper that provides recommendations for humanitarian organisations and donors in today's digital era. In their paper, entitled 'Engaging with people affected by armed conflicts and other situations of violence', ICRC and HHI urge donors to make engagement with and accountability to affected people a compliance issue. "Very importantly, donors should provide greater support for the adoption of the CHS across the sector. This also includes reviewing their own compliance processes and grant requirements, in light of the CHS," the report reads. They also make recommendations for humanitarian organisations. The second recommendation reads as follows: "Humanitarian organisations need to consider a wider adoption of the Core Humanitarian Standard (CHS) in line with the Inter Agency Standing Committee (IASC) Accountability to Affected People (AAP) commitments." "Discussions on accountability towards affected people and communties are not new, they started more than a decade ago," said Jacobo Quintanilla, Community Engagement Advisor, ICRC, when introducing the panel discussion. "What this paper seeks to address, though, is the challenges we encounter when engaging with people in situations of armed conflict and other situations of violence." The digtial era brings about a wealth of possibilities but also responsibilities. "Maybe we should not only see digital innovation as a means of constantly improving the quality and efficiency of our work," said Mary Werntz, Deputy Director of Operations, ICRC. "Maybe we should also look into the opportunities the digital era brings to allow affected people to be agents of their own lives." Increasingly, as displayed in a video that was shown at the beginning of the launching event, the humanitarian community acknowledges that communication is aid. Nevertheless, in conflict settings, security considerations have to be taken into account when resorting to digital modes of communication. From this point of view, Caroline Vuillemin, General Director of Fondation Hirondelle, reminded the audience about the important role played by radio, a more classical mode of two-way communication, and said that the humanitarian sector should not shy away from taking part in radio shows in order to provide information and answer the audience's questions directly. Asked whether there is a risk that compliance be a 'ticking the box' exercise to keep donors happy, Bonaventure Sokpoh, Head of Policy, Advocacy and Learning, CHS Alliance, reminisced a few encounters he had when evaluating projects for donors on the ground and said that it would be key that agencies share information with each other, moving away from a culture of competition. Donors have also got a role to play in this regard. When it comes to being as inclusive as possible when engaging with communities, he underlined the importance of 'cultural' access and understanding how communities and relationships amongst various groups and subgroups function. Alyoscia D'Onofrio, Senior Director Governance & Head of Office, Geneva, IRC, said that the humanitarian community, in order to enhance its services to affected people, while also satisfying their donors' demands, could learn a lot from public administration. "They also provide services to people who do not pay them directly; like us, they have also got to be simultaneously accountable to the service users on the one hand, and those funding these services on the other hand."